Cultural Center Babylonia as a place of intercultural coexistence and dialogue announces summer courses of Greek language contributing in this way to an overall engagement and inquiry as well as to the familiarization with Greek culture and cultural reeducation. The total duration of the seminar will be one month. The hours of the seminar per week will be 15 and the overall duration of the seminar hours will be 60. Courses will be delivered on a daily basis (from Monday to Friday), for 3 hours per day, offering a panorama of Greek language and culture. 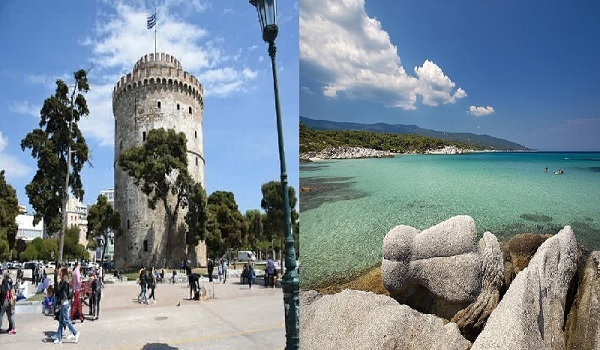 Meanwhile, on weekends, participants will have the chance to participate in open discussions on literature and culture or to "escape" to the nearby coasts of Halkidiki. Courses will be delivered by professionals, graduates of Greek language departments, experienced in teaching Greek language to foreigners. The course will be accompanied by various activities in order to familiarize students with locals, the city and its inhabitants. Courses are open to all and the offered levels are A1,A2, B1,B2, C1. Summer courses will be held from 1st to 31st of July 2017. During the first day (01/07) there will be an evaluation of the students based on official language test (sample) as well as their division into sub-groups. Applications will be open until 23/06/2017. The total cost for each level is 300 euros. Accommodation and subsistence costs as well as fees on bank transactions are NOT included in price. For those who wish, we can offer guidance in finding accommodation. Furthermore, our Cultural Center will try to obtain special prices for our students.